I have just filled out the survey on the “vote for policies” web site. It said I should vote Green. I could have told it that before I started. What is amazing though, is that it is telling 30% of the other 11,000 users to vote Green. It breaks down the common misconception that the Greens are just about the environment. Over and over again, I hear people who will talk about politics and agree with what the Green Party stand for. They agree with us when we say we must raise the state pension to £170, they agree with us when we say we must scrap Trident, and they agree with us when we say we must raise the minimum wage and invest heavily in job creation schemes. Yet, at the last General Election in 2005 the Greens averaged about 1% of the vote across the country. Why? In Brighton in 2005 22% of the electorate voted green. They came third. Yet, at this election, all the pollsters are putting Caroline Lucas and the Greens as odds on favourites to win. Why? The pollsters know, that most people agree with Green Party policies, all they need is to have a circumstance where they do not feel as though they are “wasting” their vote (this would have happened if New Labour had lived up to its promise of electoral reform in 97). This is why we can see at European and local elections, Greens consistently do well, thanks to the PR voting system. If at this 2010 election, the Greens pick up one, two or possibly three MP’s, it will spread hope and belief into constituencies around the country. 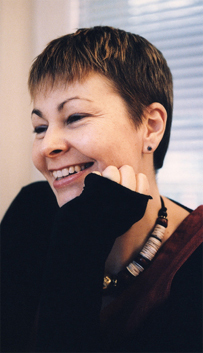 At this election, if you vote in Brighton, Norwich or Lewisham, vote Green and you might well end up with a Green MP. If you live elsewhere, you can vote to build for the future. You can vote to give others the confidence to vote Green in the future. More to the point, you can vote for what you believe in. You do not have to back the other grey parties. If you do not vote Green, you will tacitly be giving your support to the politics of the status quo. You will be saying that you are happy to keep thing as they are. If you do not vote, do you honestly belive things will change? The Greens represent the change that this country so badly needs. It represents the future. If you do not believe that change is possible, we are in a pretty bleak situation. You have to believe that change is possible. This is brilliant. Thanks for pointing it out. Like you, I scored 100% Green. Using this survey may be the closest we can hope to get on people deciding who to vote for on the issues not the personalities, mis-information and spin. It could also have a spin-off as a party game… Guess the party from their policies.